Full mask respirators are air filtering devices designed to cover the wearer’s entire face, including the eyes, providing employees with safe, breathable air in environments with atmospheres that contain harmful chemicals and/or particles. 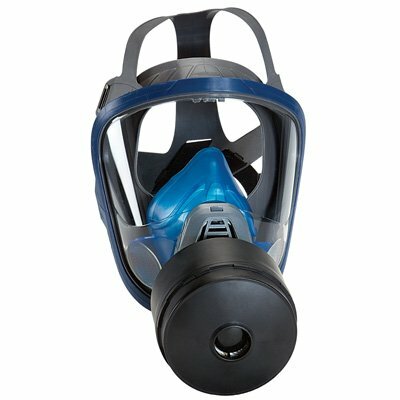 These full mask respirators are ideal for tasks line grinding and sanding. Before choosing the best respirator for your needs, make sure you perform a proper hazard assessment. Seton carries a number of popular respirator brands like Sperian®, North®, 3M® and MSA. Since using a full mask respirator can cause difficulties in breathing, employees should first be evaluated if they are fit to use such devices. Different kinds of respirators come with various requirements, limitations, and restrictions. For instance, respirators and gas masks are not recommended for people with lung problems. Elderly people and those suffering from claustrophobia may be unable to wear a full facepiece or hooded respirator. These respirators are also not recommended for people with vision problems. Provide the proper safety tools and training for your employees. Choose the best full mask respirators for your needs from Seton.